M3/M4 processors running up to 180MHz. Tracing at full processor speed is completely unobtrusive and no additional instrumentation code is required. 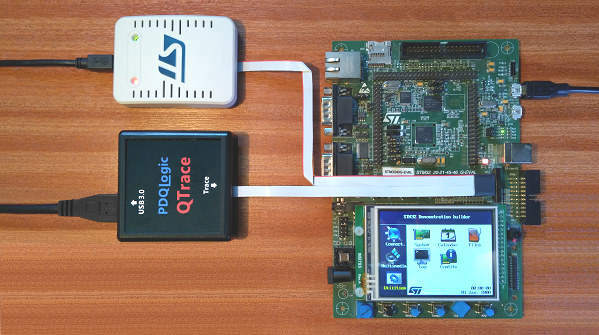 The hardware trace probe and Windows based trace analyser run side-by-side with your existing IDE and JTAG adapter so you don’t require new tools. 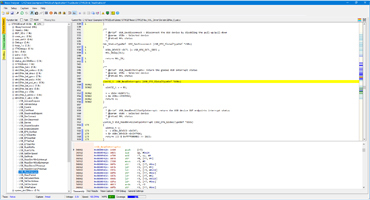 The target trace hardware is configured using a debugger script run from your IDE. Scripts are supplied for most common IDEs. If you are unfamiliar with trace then click here for some background information. There are many reasons why you should consider using a trace system. The bottom line is reduced development effort and time to market. QTrace gives exceptional insight and detailed views of how your application is running in real-time. 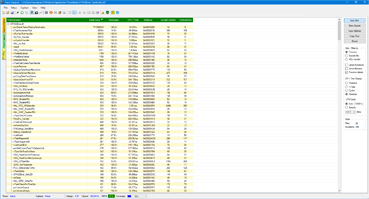 It helps to quickly locate bugs which would take much longer to find with conventional JTAG debugging. 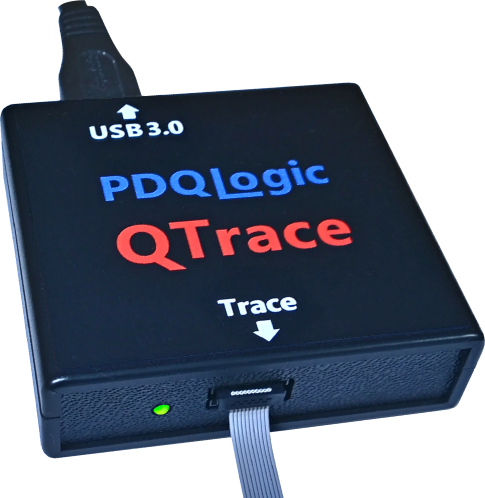 With QTrace, you’ll get a step-change in visibility of what your code is doing that’s similar to the difference between JTAG debugging and the old printf approach. Click here for more reasons why you should consider QTrace. Perfect for applications which are difficult to debug with breakpoints e.g. IoT communication stacks, motion control, high speed data acquisition, PID controllers, etc. 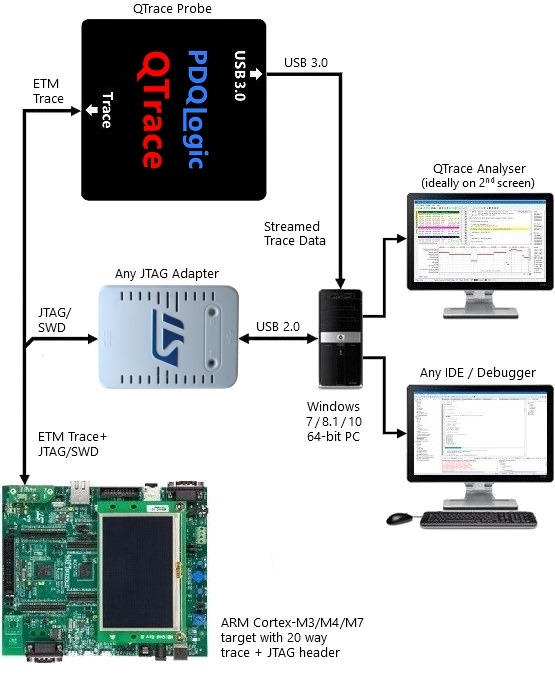 The QTrace analyser is a 64 bit PC application that runs on Windows 7 / 8.1 / 10.
probe and runs side-by-side with your existing IDE, ideally on a 2nd screen. There are 3 primary trace data visualisations outlined below. Presents project files and functions as a tree view. 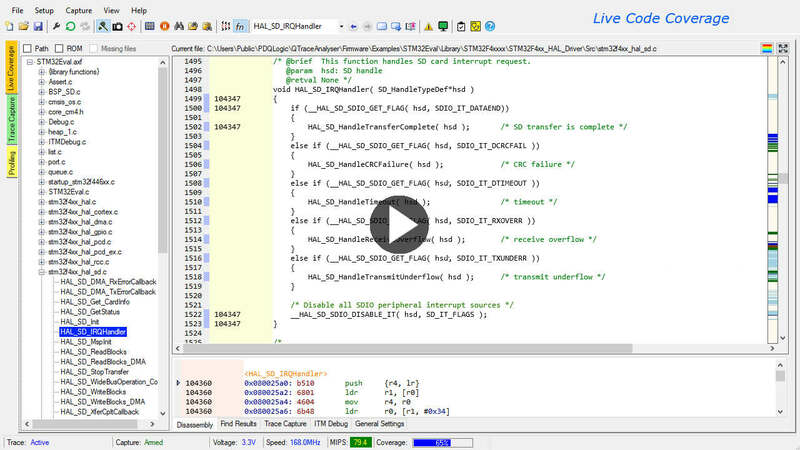 Shows execution coverage as C/C++ and disassembly views and enables loop timing, conditional searches and more. 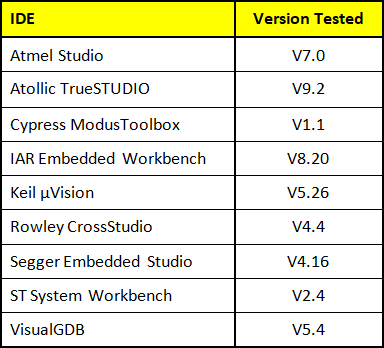 Takes a snap-shot of target program execution using several trigger options including CPU exceptions. 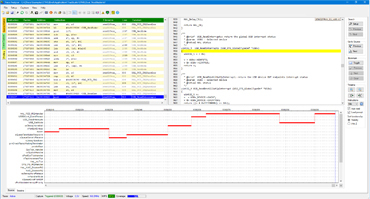 Displays a call stack as a function timeline. Displays sorted function statistics in real-time including number of calls, timing, interrupt frequencies. Highlights which functions are taking the most CPU time. 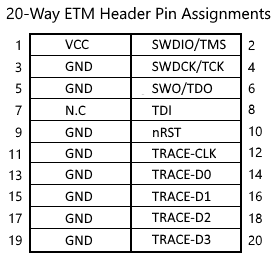 parts with an ETM interface. about support for specific targets. Below is a summary of the system requirements for successful tracing. Intel i5/i7 dual or quad core CPU running at 2GHz min. 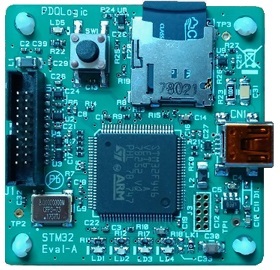 Low cost USB 3.0 powered trace probe enabling real-time instruction tracing for ARM Cortex M3/M4 processors running up to 180MHz. 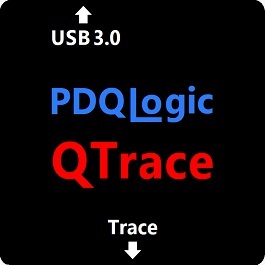 Contains everything needed to evaluate the QTrace system out-of-the-box. 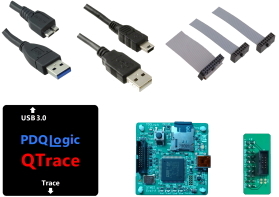 A quick-start guide highlights the key features of QTrace without needing to install an IDE or attach a JTAG adapter.